The Greatest InvestmentEliminate The Muda! How many investment opportunities can you name? Which one is the best one? 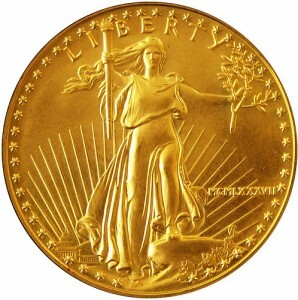 In today’s market there seem to be a growing number of people that claim gold is the smart investment choice. With the government’s insatiable appetite to print money, the value of the dollar is destined to fall. So gold, they say, is the safe haven. Take a look at the price of gold over the past 30 years as listed by Kitco. The last time it was even close to this level was in 1980 when gold hit $850/ounce on January 21st. By the end of March that year it was at its low of $490 and continued to meander its way down to $296 in August of 1981. The roller coaster continued for decades between roughly $300 and $600 hitting a multi-year low in early 2001 of $257. Real estate may be another person’s answer to the question. Some argue that real estate is the only sure bet. An asset that historically always increases and is always to be in demand. Now might be the perfect time to jump in but others may argue, especially with the most recent recession that nothing is a sure bet. Markets do change, what was once a thriving neighborhood may have fallen into disrepair and out of favor. Even in good times the real estate experts will tell the aspiring investor “location, location, location”. The other challenge with real estate is that it requires repair and maintenance. Small issues overlooked by tenants can lead to outrageous repair bills. Natural disasters can be devastating. CD’s are the only investment for some, those that are risk adverse and seek the relative safety of their money. What is the average rate over the last 3 decades? According to the Federal Reserve, a respectable 6.88%! Plus keep in mind that CD’s generally are guaranteed and FDIC insured. In 1981 you could get 15.79% interest rate on a 6 month CD. Today we are lucky we don’t have to pay for the safety of a CD. The highest I can find on Bankrate.com currently is 1.64%. Bonds are another form of investment favored by thousands. Bonds are in effect loans to corporations or communities so that they may fund their operation. Over time these loans are repaid with interest. It is important to note however that bonds have different ratings that signal how safe or risky the bonds are. Using Moody’s rating scale as documented in the Municipal Bond Fairness Act; a corporate bond with a rating of Aaa has default rate of .52%. A bond with a rating of Baa is just above what is called “junk” status. The average rate of default on these bonds is 4.64%. Be careful with any ratings below this as it starts at a default rate of 19.12% and gets worse! The 80’s were the time to be in bonds. In 1981 rates on Aaa bonds averaged 15.49%. Today they are as low as they were in the 1960’s running a little over 5%. Looking at historical averages from the Federal Reserve Bank of St. Louis for the last 30 years, with Aaa we find a 8.78% average yearly return. While On Baa rated bonds the average yearly return was 9.9%. The argument against bonds may vary but often include the risk factor. Of course the company could always default. When investing in bonds there is also the need to be educated about how these instruments work and to stay in tune with market condition throughout your investment cycle. Once a bond is first sold at its face value, its price fluctuates based on the changes in interest rates. As interest rates rise, other bonds of the same quality look more attractive. As a result established bond prices will fall on the secondary market. As interest rates fall, the opposite holds true. Equities (stocks) are the most common form of investment. These are purchase either individually or through mutual funds or indexes. Using the S&P 500 as the basis for this post, the average annual rate of return over the past 20 years is 10.66%. However the market has been very volatile with as high as a 33.36% return in 1997 down to last year’s painful loss of 37%. Beyond the basics there are many other investment options including options, derivatives, futures, direct investments and commodities. Each has its potential, each has its risks. The risks however are not solely tied to the investment vehicle, they are also tied to the purchaser of the investment. You may like a particular area for real estate that no one else does or fall love with a property that turns out to be a money pit. If so, you may not fare well. If you are risk adverse and prefer not to “deal” with your investments by laddering CD’s, in time you may find yourself falling well behind the rate of inflation and effectively losing money every year. Believing in nothing but U.S. equities could be catastrophic if you need to start drawing on your money just as the market goes through another correction. Is any single investment vehicle the best? I would say yes. The best possible investment vehicle is you! Nobody will care as much about your wealth as you. The greatest investment is an investment in yourself and your knowledge. Learning more about the investment vehicles you are interested in, their true and complete risks and potential rewards will significantly increase your chances of making investment decisions that are worthwhile.